October is over, but I still had some more classic monsters I wanted to do for D&D 5e. 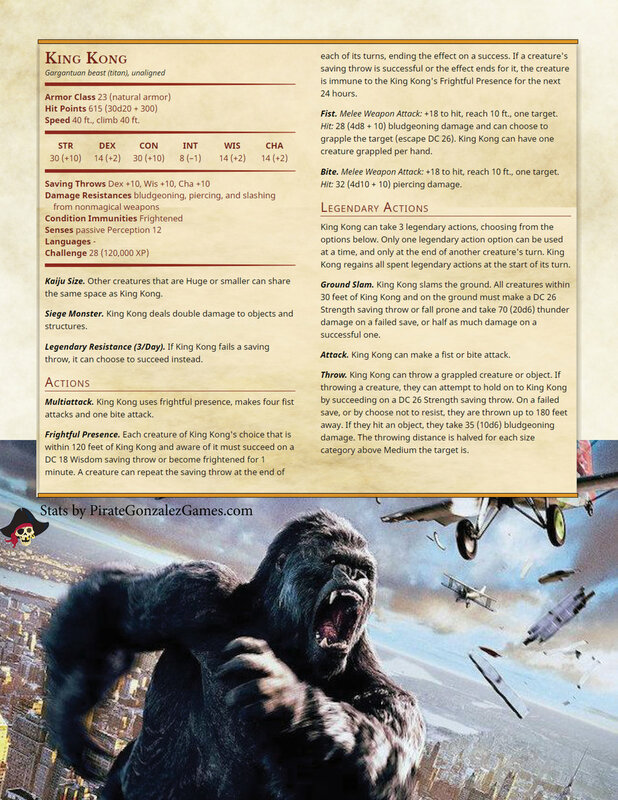 For our next entry, the Eighth Wonder of the World, King Kong! Apparently they're gearing up for a King Kong vs Godzilla movie. Based on the stats, I think Godzilla has the upper hand, but what do you think?